In 1994, my only sister was abducted while working alone at a local convenience store. This isn't a book about the case or courts, it's a journey of faith in spite of tragedy. The journey starts with an early morning phone call then details of the emotions, grief, and confusion felt in those first moments while transitioning through the days, months, and years that follow. A sibling's journey is different from that of a parent. Our role and feelings cannot compare yet they are just as important. Parents experience the greatest loss of their lives through the loss of their child and the emotional loss of the surviving children is just as traumatic. I lost more than my sister on April 3, 1994 I lost my faith. Thanks to the boldness and faith of a child, I have hope and a story to share. There is no one person or thing here on earth to replace Heidi or the friendship we had together yet after ten years of searching I realized there is Someone who can, God. "Mrs. Buske, you need Jesus." He was right. 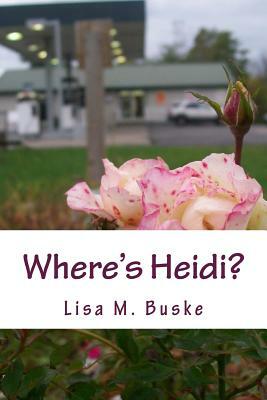 My name is Lisa M. Buske and Heidi Allen is my sister. She remains missing but never forgotten. Our journeys after loss may vary yet the pain, grief, and need for hope are similar. This is my story of discovery, healing, and hope from the moment I learn of Heidi's kidnapping until today. Life after loss is a rollercoaster ride of memories and emotions. Will you take this ride with me?